At the age of seven, he was given his first instrument, at nine he formed his first band and at thirteen he was playing professionally in nightclubs. His international career developed just as quickly. At only age 16 James debuted in the USA with a breathtaking concert at the Monterey Jazz Festival. Following this were performances at the big festivals in Europe including Montreaux, Pori, North Sea, Nice and Bern - playing with many of the legends of jazz. Dizzy Gillespie, Cab Calloway, Woody Shaw, Red Rodney, George Benson, Ray Charles, B.B. King, Ray Brown and Wynton Marsalis to name a few. There were also gigs in the worlds most famous jazz clubs - The Blue Note and Village Vanguard in New York, the New Morning in Paris and Ronnie Scotts in London. 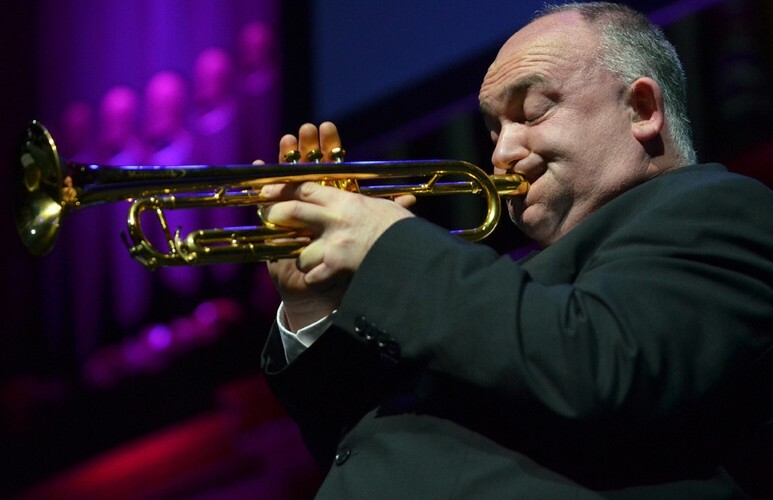 James Morrison’s career thus far has been diverse and perhaps not typical of most jazz musicians. He recorded Jazz Meets the Symphony with The London Symphony Orchestra conducted by Lalo Schifrin, performed concerts at the Royal Albert hall with the London Philharmonic Orchestra and at the Royal Opera House, Covent Garden for Princess Anne. Royal command performances on two occasions for Her Majesty Queen Elizabeth II and for US Presidents Bush & Clinton at Parliament House in Australia. In 1997, James was recognised for his service to the arts in Australia and awarded a medal of The Order of Australia..